Dr. Tania would like to welcome you to a fantastic dental experience! She combines advanced dental technology with a gentle friendly style to make you and your family feel comfortable. Once you step through the doors you will feel right at home. She use the latest technologies including digital x-rays, tooth colored fillings, and Zoom! Whitening to maintain a beautiful smile. 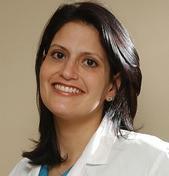 Dr. Tania gets to know each of her patients personally to help them make informed choices. So please join us for a lifetime of great smiles! Saavedra Family Dental is family-owned and operated in Levittown, NY. Since opening in 2008, we’ve treated every patient like they were a part of our family. Other offices may offer similar services, but our services come with a personal touch. Graduated from NYU Dental College in 2002, Member of the American Dental Association, New York State Dental Association, and Nassau County Dental Society.